According to reports, Krish Jagarlamudi and his wife Ramya have decided to call it quits and file for divorce with mutual consent. Acclaimed filmmaker Krish Jagarlamudi is going through a terrific phase in his career and has interesting films under his belt this year. Manikarnika, starring Kangana Ranaut, is almost complete and Krish will now shift focus to the biopic on NTR which features Nandamuri Balakrishna in the lead role. With back to back films up his sleeve, its going to be an exciting two years for Krish. However, his personal life seems to have taken a hit. According to reports, Krish Jagarlamudi and his wife Ramya have decided to call it quits and file for divorce with mutual consent. According to reports, the couple have been having differences because of compatibility issues since their wedding and have now decided to call it quits. 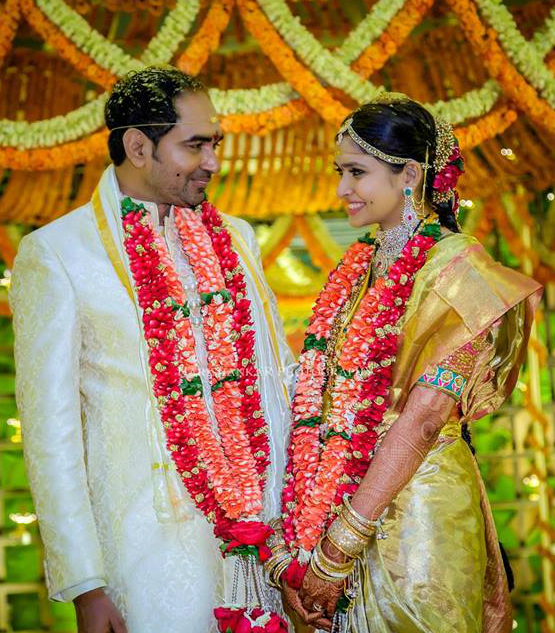 Krish and Dr Ramya Velaga got married in 2016 in Hyderabad and the wedding was attended by many bigwigs of Telugu film industry. The couple has decided to part ways with mutual consent and not changing anything in their lives. The good aspect about the rough phase for the couple is that they want to respect each other and want to part ways in a decent manner without pointing at each other’s mistakes. Krish has been one of the most sensible and sense-making filmmakers of this generation in Telugu cinema with a taste for literature and artforms. Krish also enjoys a good following amongst audience and is one of the most-liked filmmakers of today and this news about his personal life is something his admirers may not like. On the work front, Krish is currently busy with his Bollywood directorial, Manikarnika, which features Kangana Ranaut in the lead role. And post this period action film, Krish will take up NTR biopic which is being produced by Nandamuri Balakrishna. NTR biopic was kicked off with director Teja at the helm of affairs but the filmmaker later opted out of the project stating he wouldn’t be able to handle such a large scale project.